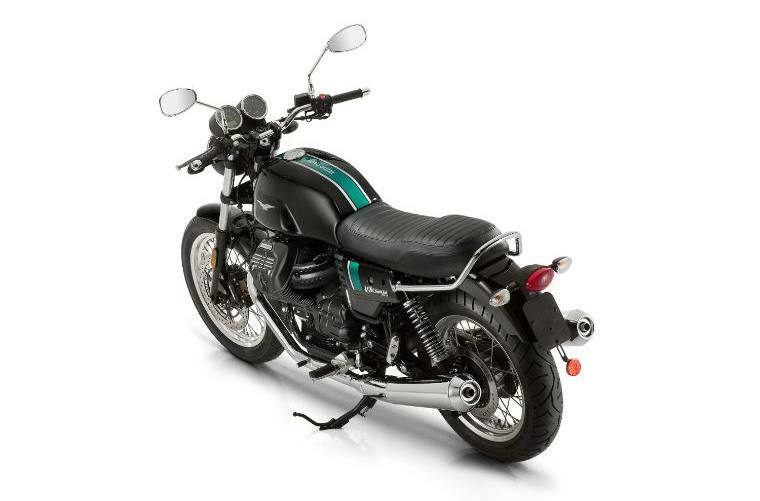 Of the V7 models it is the one that comes closest to the spirit of the original model. Classic and elegant, it has numerous chromium parts and decidedly bright graphics. 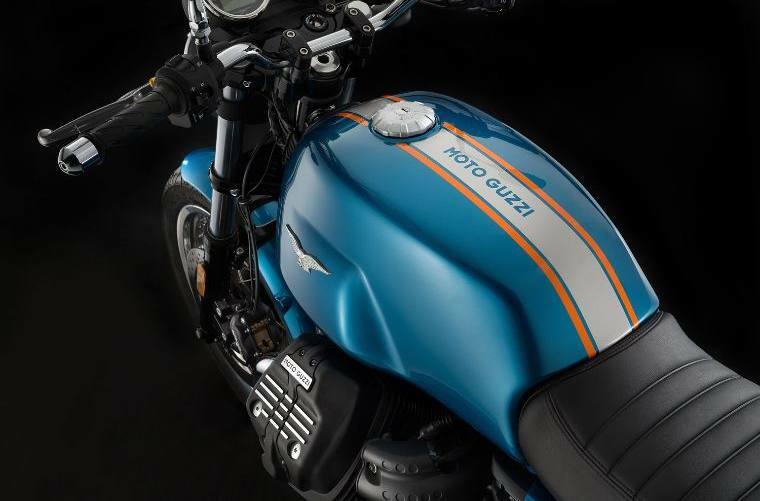 Like the famous 1975 V750 S3, it has the typical coloured stripe on the side panels under the saddle that complement the matching coloured horizontal bands on the tank. 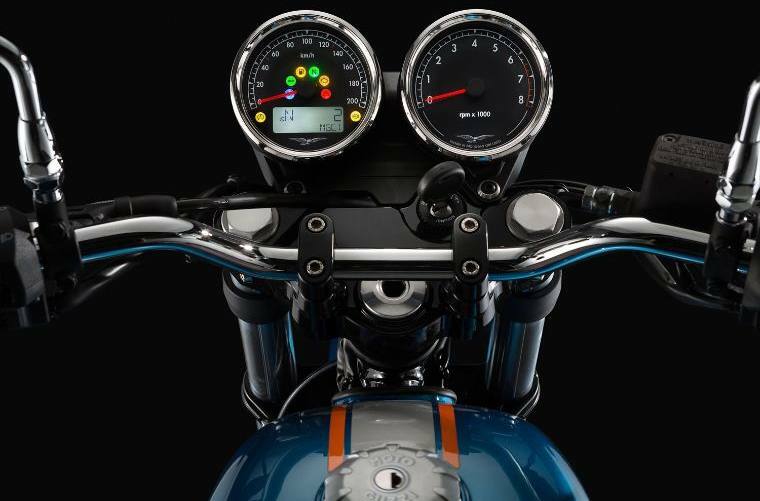 The spoked wheels have polished channels and black hubs; the instrumentation is made up of dual circular displays and the chromium plated steel passenger grab handle comes standard. 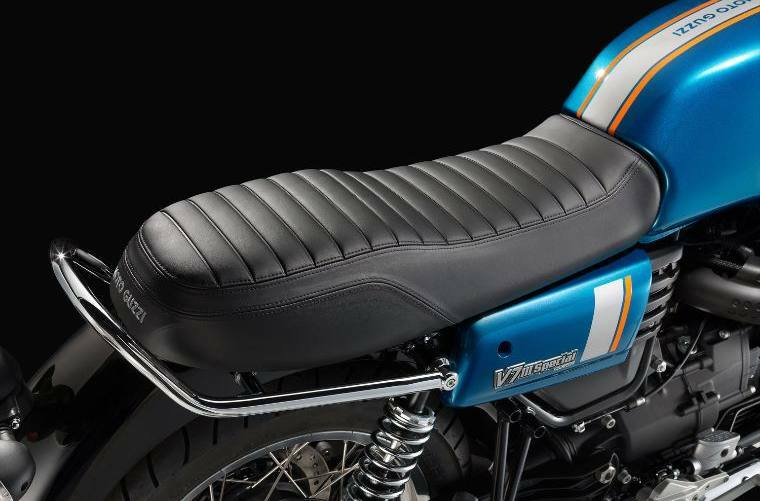 V7 III Special also boasts a saddle with "old school" stitching, elements that highlight its classic and elegant roots. 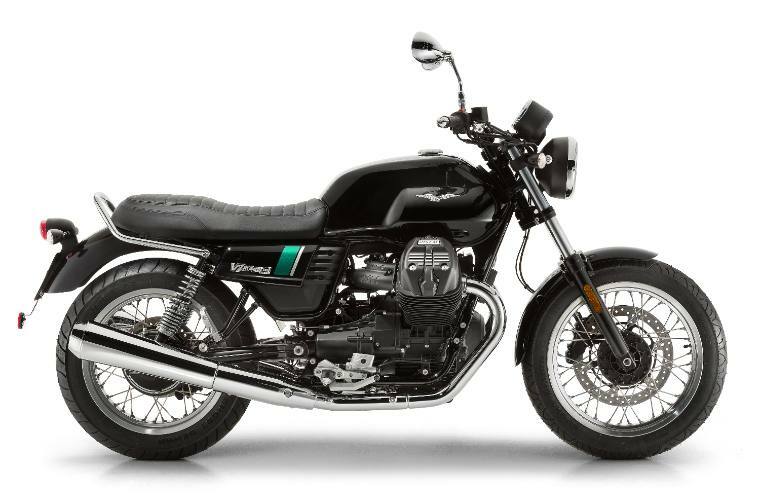 Unlike the Stone and the Racer, the V7 III Special and Anniversario have fork stanchion protectors instead of dust boots. The available colour schemes are also new: Nero Inchiostro, Blu Zaffiro.